The Meyer Industrial SXI Industrial Series V-Spreader combines Heavy Duty components and a high quality spread pattern to make the best use of your product. Our unique Rear Discharge System is unlike all others, incorporating two shaft drive vertical expellers. They are fed by an aggressive 3 auger system to power through pack manure, semi solids, sand sludge, slurry, litter, biosolids and certain lime and compost products. 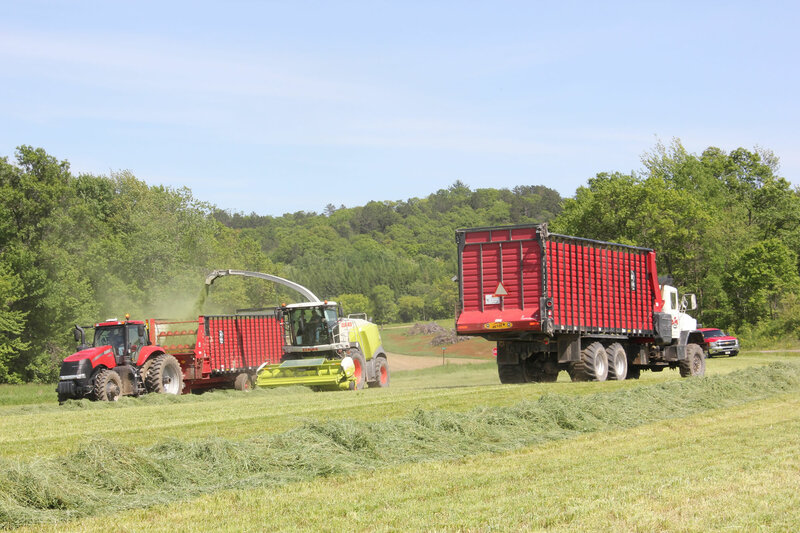 Rear discharge keeps your tractor and spreader clean while maximizing the value of the product you are applying. 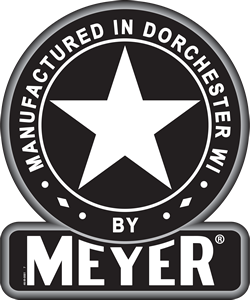 Meyer patented straight line flow - provides the ultimate spread performance. Better pattern, faster unload time, less horsepower & minimal wind drift! 3 auger system = only one of its kind. Lower 23" augers feed the rear door while the upper 16" auger levels the load forward and eliminates bridging. ALL SECTIONAL FLIGHTING! 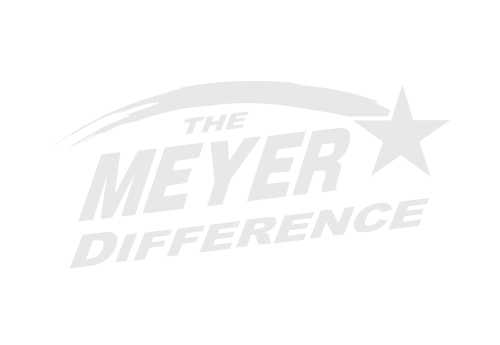 The Meyer Dual Lower Auger design creates a wide profile at the bottom of the tank. This means that we can maintain the lowest load height in the industry with maximum capacity. Stops bridging too! Heavy Duty Drivetrain on SXI Models include our RT Geardrive design thereby reducing chain/sprocket reduction. This simple, yet efficient system has #140 final drives for your biggest loads! The SXI Drive is completely re-engineered for simplicity, easy maintenance, protection and auger speed adjustablity. Auger Speed Changes are quick and easy on standard PTO driven SXI models using this simple A-Plate design. Hydraulic drive augers optional! Independent Lower Auger Shear Bolt Protection is standard. Allows you to protect an obstructed auger while still unloading a majority of the load with the other auger. Bound to save you time! Automaitc Roller Chain Oiler is standard. Oils all roller chains eaech time you operate the tailgate. Eliminates reduced access and manure contamination associated with oil bath systems. Remote greasing on SXI models is standard allowing for convenient & safe maintenance. 3/8" sectional flighting on lower augers - doubled in critical areas. No paddles to wrap, freeze or wedge rocks like other brands. Our revolutionary T-Post auger hold-down retains a nylatron (no maintenance) bushing and maintains tight auger tollerance to the tank floor. This system provides complete cleanout! Vertical Twin Expellers pulverize material for a smooth, even application. This machine bands material across the back like a fertilizer spreader, unlike side delivery units that attempt to chuck all material out one side. All paddles are easily replacable and have no pivoting wearparts! Direct Shaft Drive Expellers / with shock load couplers on all models. No chains on rear of this spreader. Industrial models feature an overrunning clutch on the rear expeller system to elminate backlash at shutdown! Check out this Shock Load Coupler System! Drastically reduces "shock/stress" related to rocks, ice and foreign objects to your expeller drivetrain. This dampening system along with a torque disconnect clutch protect your expeller drive. All Meyer V-Spreaders feature a full channel frame. Stress from hitch, axles and payload is transmitted through the frame system. Take a look at the unibody designs on most V-Spreader! HD Axles! SXI720 features 3.5" spindles / 10 bolt hubs with an optional high floatation axle set (pictured here). The SXI865 is equipped with the high floatation axle standard. It incorporates 4.5" spindles / 10 bolt hubs to accomodate 28Lx26 tires. Auger Speed Options as well has hydraulic variable speed auger drives available for specialty applications. A Center Wedge dirverts material to the outside of the pattern for consistent spreading in all types of product - liquid or dry! The other guys talk about industrial features, we mean it. This machine is HEAVY DUTY in all the places you need it. Thicker tanks, larger augers, bigger drive components and added protections keep you on top of the game! 32x53" Door Opening dwarfs the others. Combined with the rear unload design, we can move tough loads out fast! Don't forget, all Meyer V-Spreaders have poly lined gate tracks (not steel on steel). This optional hydraulic lid assembly provides cleaner transportation and less oder pollution. Right or left hinge is availabe and a port hole is standard equipment. Also avaiable is our hydraulic lock down package! SXI spreaders are available with a 5 point scale package. Standard or Nutrient Tracker versions available.